Fleece Bag to Cushion Items. 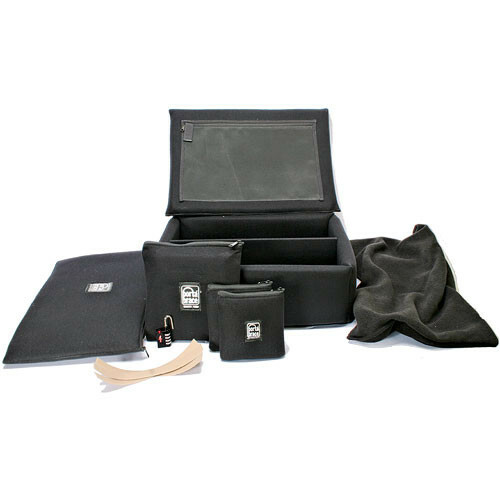 The PB-2700DKO Hard Case Divider Kit Only from Porta Brace is a stand-alone divider kit made up of 1.0" Veltex foam covering, zipper pouch, divider walls, fleece bag and two Porta Brace padded pouches. It is an accessory for Porta Brace PB-2700 series cases and a replacement for the PB-2700DK case. 1.0" Veltex-lined foam with touch fastener material, made to cover all six interior walls. Zippered pouch within top lid, made to hold loose items. Self-customizable dividers made of durable, crush-resistant corrugated plastic with hook and loop fasteners. Fleece bag to cushion your items. Two Porta Brace padded nylon accessory pouches that can double as cushioning devices. Box Dimensions (LxWxH) 19.0 x 16.0 x 15.5"
PB-2700DKO Hard Case Divider Kit Only is rated 5.0 out of 5 by 1.